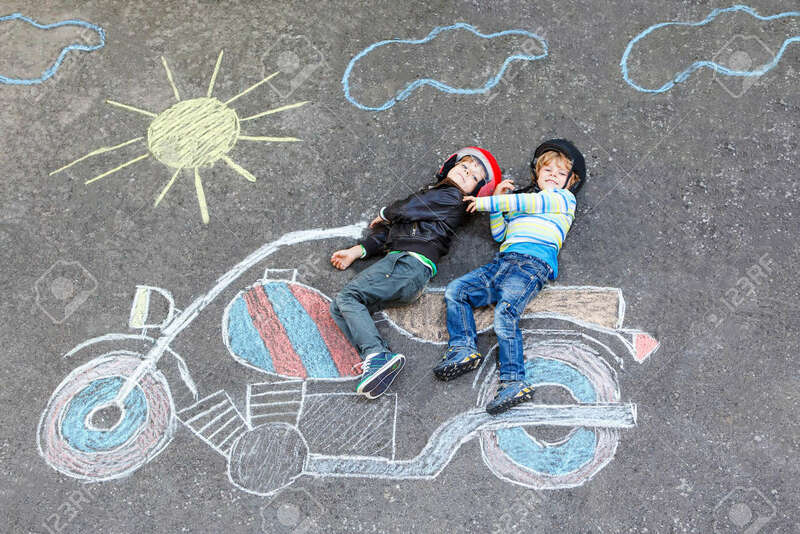 Creative Leisure For Children: Two Little Funny Friends In Helmet Having Fun With Motorcycle Picture Drawing With Colorful Chalks. Children, Lifestyle, Fun Concept. Royalty Free Fotografie A Reklamní Fotografie. Image 44719250. Reklamní fotografie - Creative leisure for children: two little funny friends in helmet having fun with motorcycle picture drawing with colorful chalks. Children, lifestyle, fun concept. Creative leisure for children: two little funny friends in helmet having fun with motorcycle picture drawing with colorful chalks. Children, lifestyle, fun concept.